Happy New Year. Welcome 2018 with a Bold Intention. Register Here for this free event. 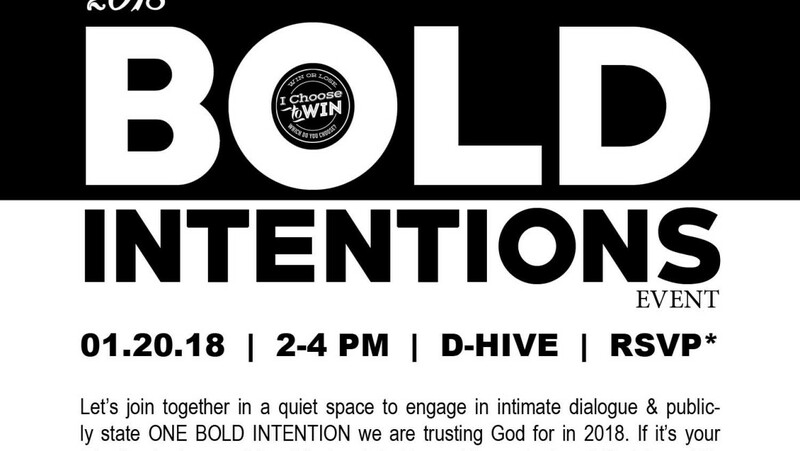 Let’s join together in a quiet space to engage in intimate dialogue & publicly state ONE BOLD INTENTION we are trusting God for in 2018. If it’s your intention for 2018 to do something ridiculously bold, requiring audacious faith, join us. This is a workshop to edify, empower and equip you on mission to win. We will discuss vision casting, action planning and share resources to ensure we have what we need to deliver on our bold intentions. We are women who will come together to support one another, identify ways to overcome internal struggles and beat personal barries and beliefs that limit us. We edify, empower and equip one another on our respective journeys to WIN in life. Together, we WIN. Last year, several women made bold intentions to start a blog, write a book and launch a new business. And these women did just that at the “I am. I will. 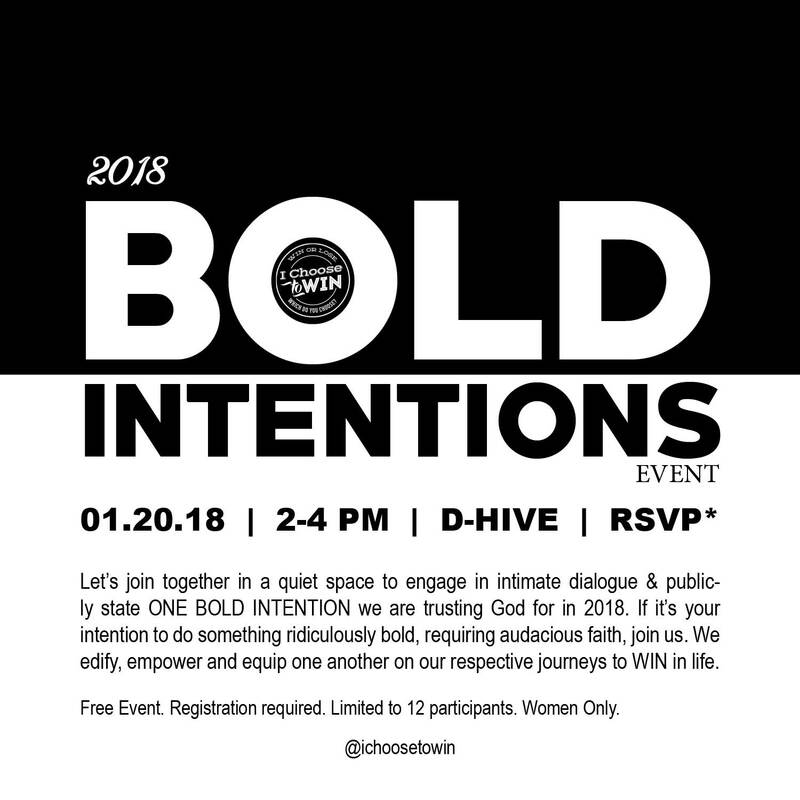 2017 Bold Intentions Event.” To get a glimpse, check out the photos from last year’s Bold Intentions Session. Click to view photos. Learn more at ichoosetowin.org. Or, visit us @ichoosetowin on instagram.